When the light bulb finally goes off and you think you have an idea that could change the world, know that the idea part is only half the battle when it comes to creating a new product. When inspiration strikes, don’t lose steam! Put in the work to make your dream become a reality. You may have a dozen questions from design to protection to manufacturing. Don’t go at it alone! Let the experts at Inventor Smart guide you along the way. How Can Inventor Smart Help? 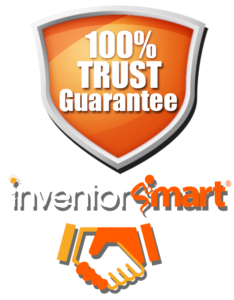 A partnership with Inventor Smart starting at the inception of your idea will give you your absolute best shot at success. Take the guesswork out of this process and consult an expert right away. Chief Invention Officer Brian Fried and his Inventor Smart team can help you every step of the way. First, our team will evaluate your idea and assist you in the protection and development process. We will then discuss the various possibilities for your products sale, whether it be in the form of big box stores, home shopping channels, online catalogs, or another retailer. We understand that all inventions are different. Our team has diverse experiences in various retail industries that allow us to find the perfect fit for you, no matter what your idea is. READ RELATED ARTICLES When Should I Do a Patent Search? Licensing your invention is a convenient way to contend with limited funds or experience in the area of inventions. When you license your invention, you partner with a company that will handle the manufacturing and distribution end of your product. This offers a clear and easy path to production in which you keep your day job and simply collect royalties from your idea! Idea Evaluation: Let Inventor Smart assess your invention. Before letting us in on the genius, Inventor Smart experts will sign a Non-Disclosure Agreement free of charge. This lets you know you can trust us with your intellectual property and establishes the fact that we are working for the good of your product- not the other way around. We will then take a look at the originality of your idea and consider its potential. Patenting Your Invention: Once our evaluation confirms your idea’s originality and potential, the next step involves filing a provisional patent application. Our Inventor Smart patent agents will be your consultants in this process. Having an expert answer all your questions along the way will ensure your idea is fully protected. After all, nothing is more important than the security of your idea. Product Categories: You need to determine where your product fits in. In order to find a perfect licensee to partner with, you have to narrow down your options. Categories include housewares, games, toys, automotive, novelty, kitchen gadgets, everyday solution and many more. Once you have a category selected, consider what retailers carry your category of products. Prototypes and Pitches: Once you develop a working prototype of your invention, it’s time to pitch your idea to companies that you think would sell your product. Inventor Smart can help point you in the right direction and ensure you partner with a licensee who is just as excited about your invention as we are! Our licensing representatives will be your go-to, trusted advisors in this process. If you want to see your invention become successful, it’s no secret you should take the advice of experts. Inventor Smart services can transform your idea into a profitable product with our tested knowledge. Recently, inventor Dean Benuzzi partnered with us to grow his invention. This put him on the track to incredible success. Benuzzi cites Brian Fried as an invaluable resource stating “Brian gets back to me very quickly. He has tremendous feedback; he knows what he’s talking about. He doesn’t take weeks or months to get back to me… any question I have, he’ll answer it.” With Brian’s incomparable connections and expertise, Benuzzi’s idea for the “Shelf-Go-Round” transformed into a lucrative product. This success story could be yours! 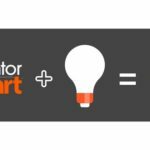 Working with Inventor Smart is the perfect way to launch a career as an inventor and get your ideas on the shelves. There is no better time than now to reach out and see what Inventor Smart can do for you. With our industry know-how and your inventor’s mind, success is just around the corner!